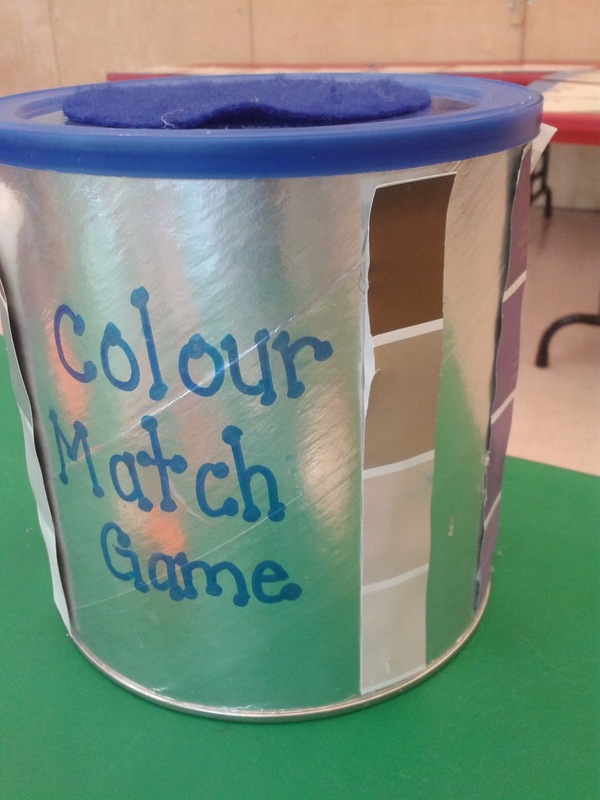 Teach Easy Resources: Colour Games for Preschool - 3 to try! Colour Games for Preschool - 3 to try! This week we enjoyed playing a number of colour games at school. 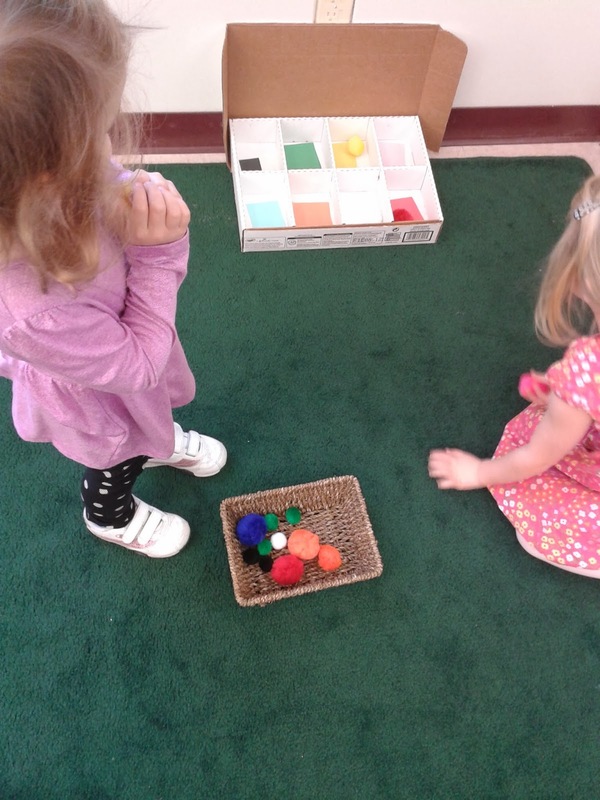 Many of our preschoolers know their basic colours. We also try to introduce them to the concept that colours come in many different shades. It's a new idea to many of them that although you may say the sky is BLUE, to be even more descriptive you could call it light blue, dark blue, turquoise, etc. depending upon the shade. My co-teacher set up an activity for centre time that introduces students to this concept. Students pin the coloured clothespins to the matching shades on the colour cards. It takes a discerning eye! 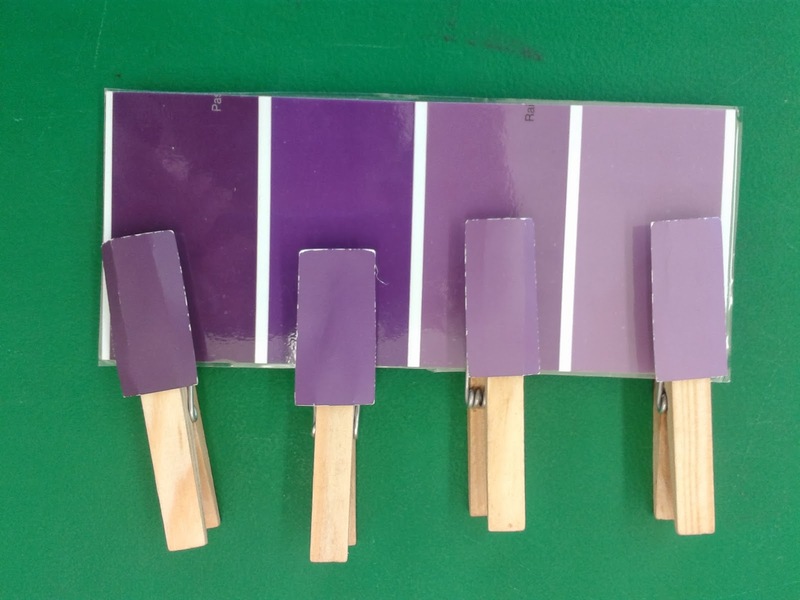 Here is a close-up of the purple card after the clothespins have been matched to the correct shades. The colour cards are freebies from the paint store. Just get two copies of each card so that you can cut the second one into pieces for gluing onto the clothespins. We store all the pieces in the decorated can shown below. Another fun storage container for this game would be an unused paint can. Some paint stores will donate one for free if you let them know it's for school. At worst, I believe they charge only a few dollars for it. Another colour game we set up this week gave the kids a chance to develop their gross motor skills. I cut up pieces of coloured paper and placed one in each compartment. We laid down a line of tape for the kids to stand behind, and then they attempted to throw the pom poms into the box. 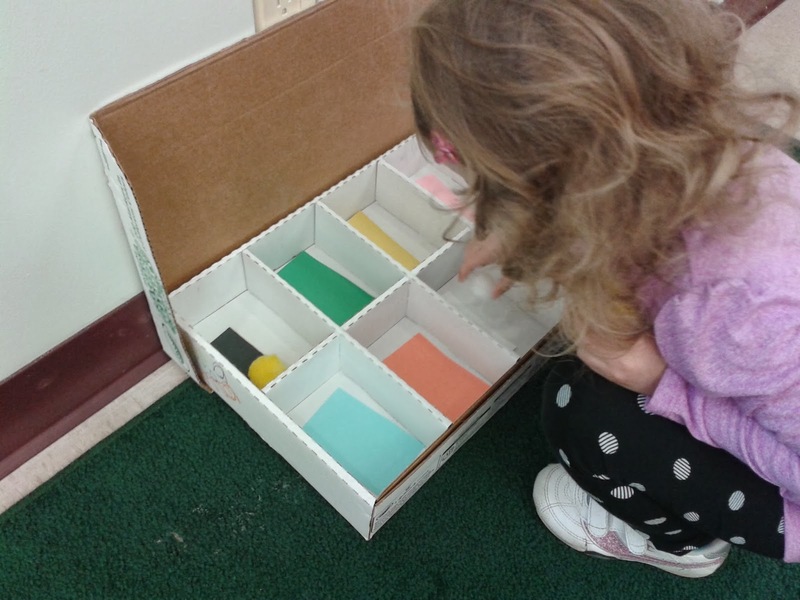 The students' challenge was not only to get them into the box, but to have them land in the compartment with the matching colour. When they had thrown all of the pom poms, they counted how many landed in the correct spot. Next round, they'd try to beat their score! 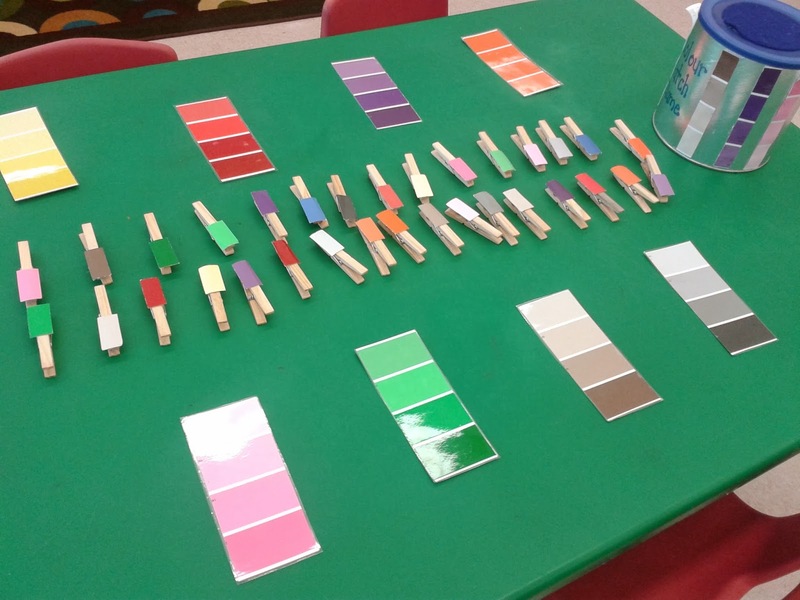 A whole class colour game that we like to play is called "Rainbows." Every child gets a coloured item. I usually try to use no more than about 4 different colours in total to keep it simple. The items you use could be any object from around your classroom. We sometimes use coloured blocks, coloured felt pieces, coloured squares of paper, etc. Whatever you have on hand will work! Students sit on chairs in a circle. When you call out a colour (i.e., RED) everyone with that colour has to quickly get up and change seats with someone else who has that colour. Every once in a while, you call out "Rainbow!" and then everybody in the class must get up and change seats. It's lots of fun and could also be a great way to teach those trickier colours that some of the kids are less familiar with like grey, gold, silver, etc. 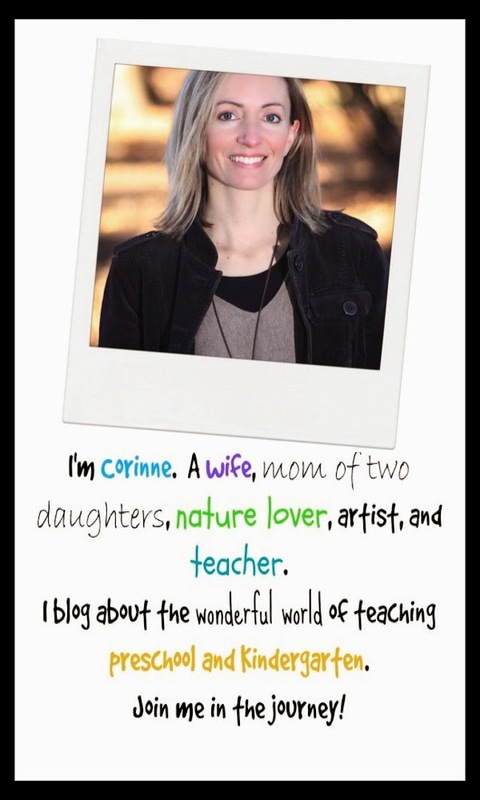 If you're looking for more ideas to bring some "colour" into your classroom, you might want to check some previous posts under the label, COLOUR ACTIVITIES, on the right margin of my blog. Watch out! There's Dinosaurs at Preschool!